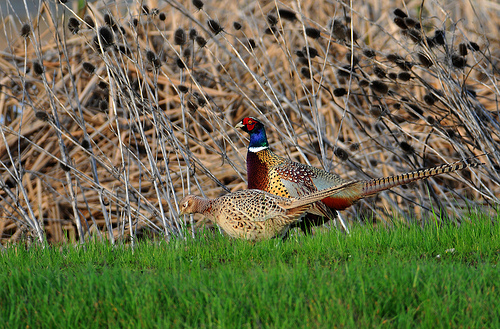 The Pheasant is a beautiful and graceful bird. Originally it isn't a European species, but was imported from Asia for hunting purposes. With much noise and trumpeting it announces that there is danger. 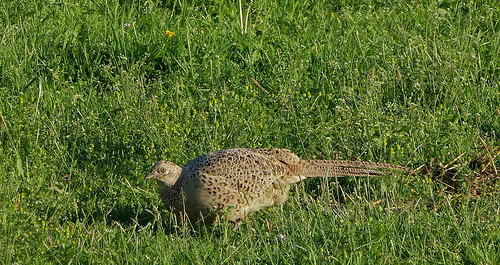 The female Pheasant is much larger and has a long tail. Quails are shyer.